minecraft adventure map | Surviving Minecraft, Minecraft Adventures! 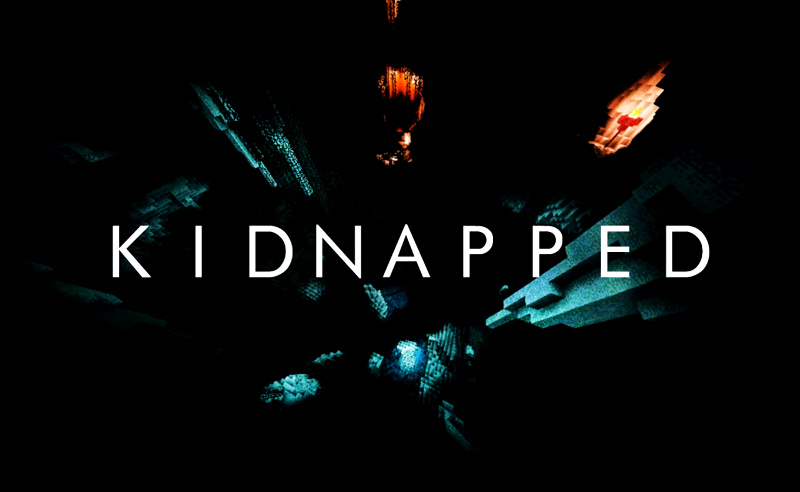 KIDNAPPED has been 109 hours in development, which is an impressive feat. With a gripping story and forty five minutes of action packed gameplay, this is a must download for minecraft adventure buffs. The environments are beautiful, the story is tight and this map goes out of its way to ensure that it is not a waste of your precious minecrafting time. There’s plenty of adventure and action to be had, and the environments are out of this world. This entry was posted in Adventure Maps and tagged kidnapped, minecraft action map, minecraft adventure map on January 28, 2013 by Hope. Respawn is a minecraft adventure RPG map. Before you go on to read this article and look at these screenshots (which are a select few of the many I took as vigorously as a certain type of tourist whilst playing this breathtaking map,) you should be warned that you are, right now, in the presence of something very special. Respawn is truly brilliant. 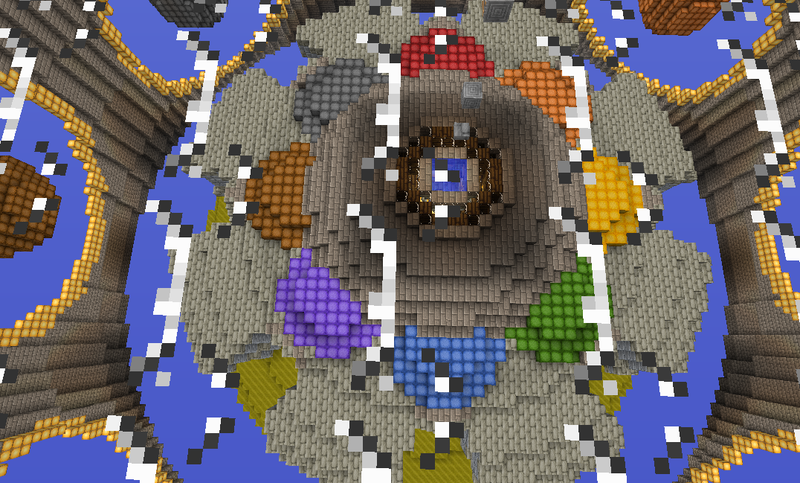 From the very moment you spawn, Respawn is an impressive minecraft adventure map. 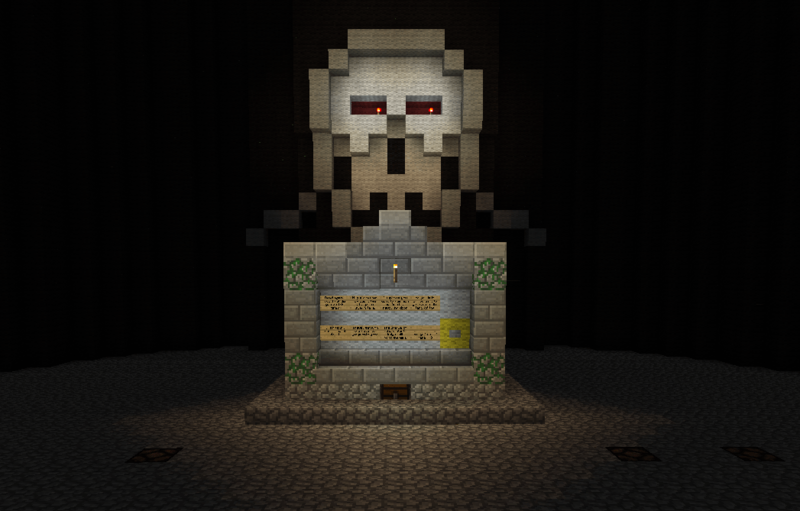 You begin the game staring into the redstone eyes of a skull statue. And it turns out, in those first precious minutes of the game – that you’re already dead. This is the respawn room, the room where Steves go after falling into lava, or having their armor worn away by a horde of skeletons. So you leave the place of death and you return to the world of the living where the sun shines. And there you are met by beauty that will take your breath away as you step into one of the map’s ‘sanctuary’ safe zones. This entry was posted in Adventure Maps and tagged minecraft adventure map, minecraft adventure rpg, minecraft fortress map, minecraft rpg builds on January 22, 2013 by Hope. CobblStep City is a very ambitious minecraft adventure map, comprising several locations spread out over a large area, dubbed ‘Cobbl County’. This is a very in-depth, well developed map with its own (completely imaginary) currency, job tree and multiple cities and locations for the exploration minded adventurer. This adventure map is designed to be non-linear, which means there’s not a whole lot of hand-holding and direction given. You determine your own adventure by where you choose to go and what you choose to do when you get there. 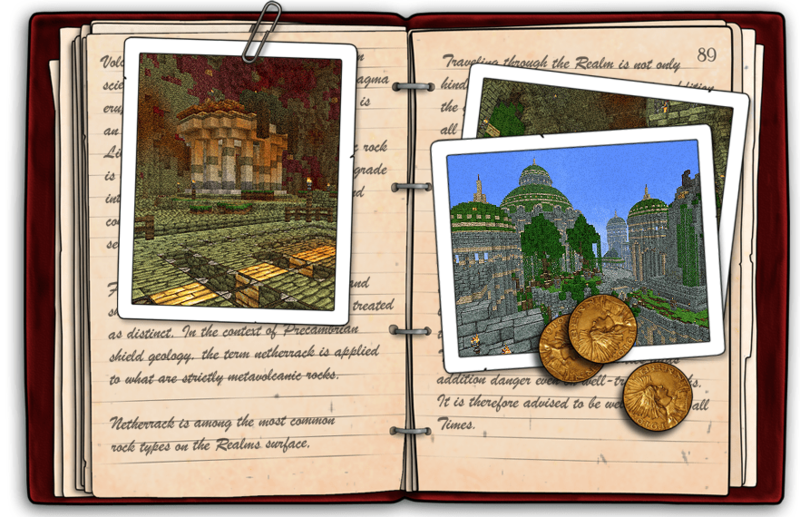 Click to read more and get this adventure map download! This entry was posted in Adventure Maps and tagged adventure map download, massive adventure map, minecraft adventure map on November 26, 2012 by Hope.